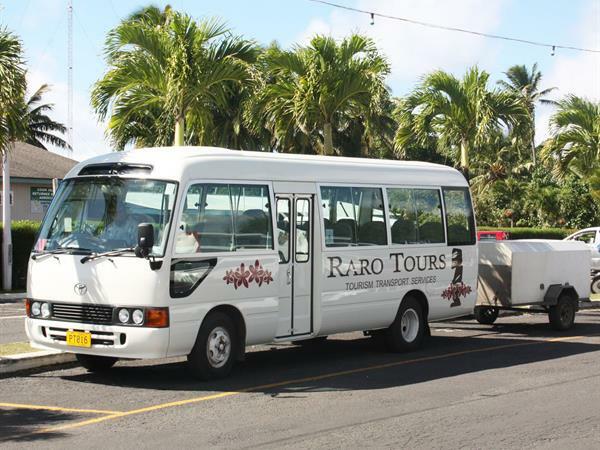 Arrive in Rarotonga to the warm welcome of Raro Tours. Choose to receive a flower ei (garland) and a chilled bottle of water on arrival, followed by a comfortable ride to your accommodation in one of our air conditioned buses. Choose to receive a shell ei on departure. Transfers are available to and from all major accommodation in Rarotonga.